Eatible Delights Catering and Event Planning Services realize that during this difficult time there are many decisions to make as you plan the Home Going Celebration for your love one. 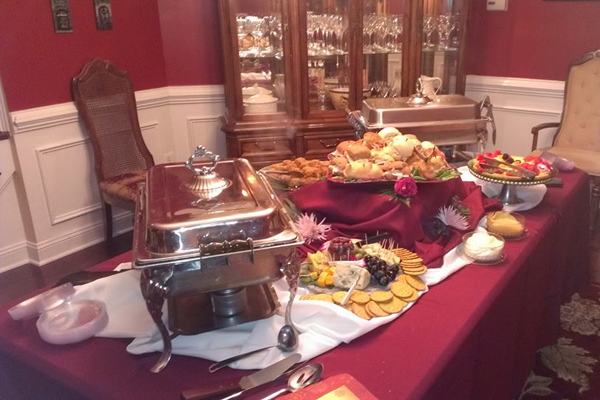 Let Eatible Delights Catering help take that burden from you. We will provide personal attention and professional services in arranging that special meal that follows the service. We offer unique menu ideas for Repast meals that bestow comfort for the heart, mind and soul. We cherish the opportunity to service you and your family in this time of need. Please contact us for a free consultation. Everything was on point, we have no complaints. A lot of our family has called over the past weeks to tell us how nice everything was which means a lot. Overall the day went really well, it was a beautiful day to honor our Aunt, thank you again. All pricing is based on an order for 25 people or more. Pricing includes service staff based on 100 guests. Call for your Repast Services consultation.